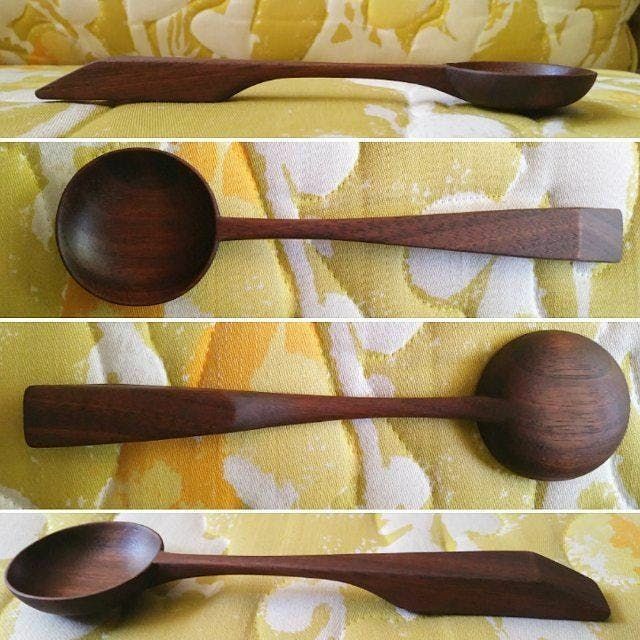 Summary: This three hour course covers the basics of traditional spoon carving. Description: Learn spoon carving with traditional Japanese carving tools. The course opens with an explanation of wood types and how to mill lumber down into blanks. The instuctor will guide you through designing the spoon and marking the blank, and then teach techinques for carving and finishing. The price of class includes all materials as well as a set of tools that are yours to keep. Ticket Sales end two days before the event begins. Please be prepared to supply an contact phone number in case of last minute scheduling changes. What sort of safety equipment is required? Yes, please notify us before ticket sales end about any transfer of puchase. We will refund any ticket requested for any reason up to a week before the course runs, after that point we can only give credit to a future course. If the class cannot run as scheduled, for whatever reason, purchaser will have the option of a full refund or credit towards the makeup course. Courses must sell a minimum of three tickets to run. If a course cannot sell three tickets, the students who have signed up will have the option to (a) reschedule or (b) recieve a full refund. This notification will be issued when ticket sales end, approximately 48 hours before the course.